Saddle up yer horses, and mozie on down to Old Town Saloon! Take in the horse-drawn wagons, dry riverbed, and old Southwest mining derrick that embellish the front entrance to one of Laughlin’s Ace-High watering holes. 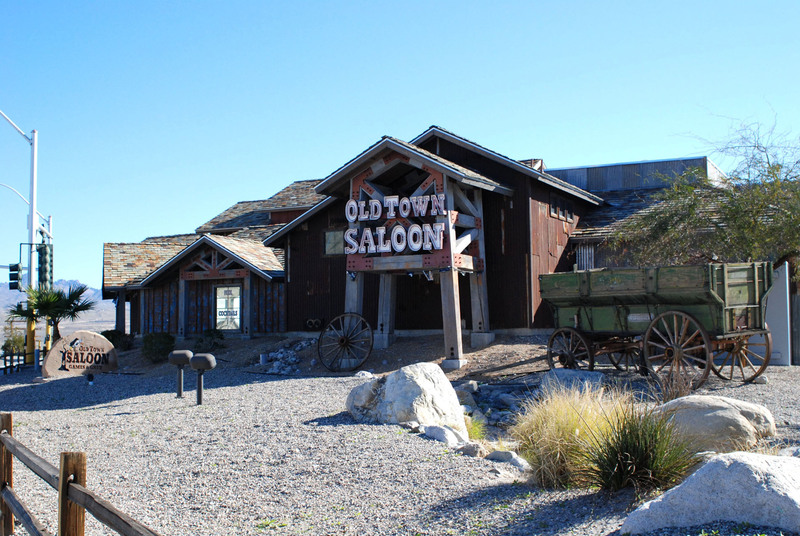 Upon entering Old Town, you will step right back into an era of years gone by…the 1800’s Old West…a time when mining in Nevada was at it’s peak. If yer wantin’ to whet yer whistle or bend an elbow with some cow-folk, try one of our refreshing Signature Drinks! Make sure to come hungry, and grub some amazing Burgers! If yer hankerin’ to win some loot, try yer luck on one of our 15 state-of-the-art Video Poker machines! If gaming isn’t yer cup-a-tea, you can always watch sports on one of our LCD TVs, shoot some pool, play darts, or listen to Country tunes on our Touch Tunes juke box…the whole kit and caboodle! You can even reserve space for a party or reception!! And that’s not all!! Dust off your boots and scoot around our brand-new 700 square foot dance floor!! Come in for FREE Line Dancing lessons! You’ll even find live Country bands or DJ’s almost every Saturday night…sometimes Friday too! AND…Old Town is the after-party spot-to-be…following Laughlin’s country concerts. Voted Laughlin’s Best “Locals” Casino by Laughlin Buzz! …and as always…FREE DRINKS TO PLAYERS! Content of this site is © 2018 RB Properties - All Rights Reserved.